How Will the Real Selma Be Remembered? MLK Jr. Day is over, the movie Selma is out – by many accounts, one of the best films in a while – and celebrities held a commemorative march. But what monuments honor the Voting Rights march the rest of the year? This past Thanksgiving my wife and I traveled through Alabama, visiting astounding statuary outside the 16th Street Baptist Church in Birmingham (site of Selma‘s opening scene) and checking out some modern day art inspired by the Civil Rights movement in Montgomery. 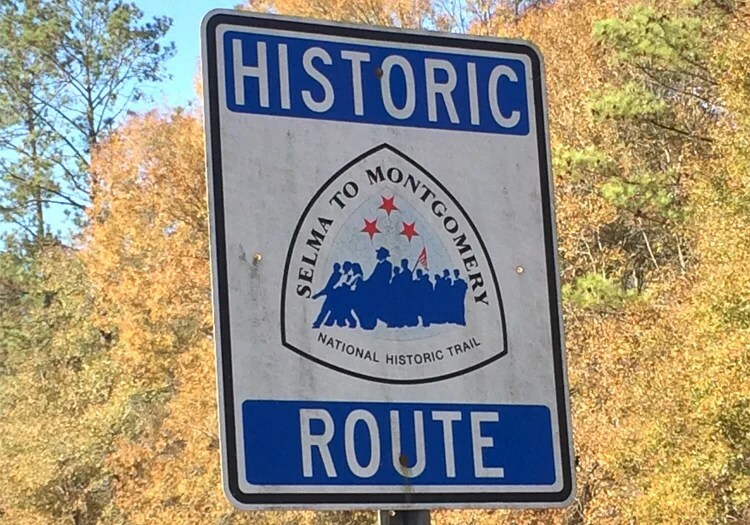 Our last stop was Selma, and in our brief visit, we found sadly deteriorating sites meant to honor this town’s rather significant role in the Civil Rights Movement. Driving all over the US, I make it a habit to check out historical markers whenever possible – New Mexico has several dedicated to Billy the Kid, for example – but despite several along the highway in Dallas County, the only the hints I saw of the march on Highway 80 were a few, very spaced out, small signs with no detailed information (though apparently there is a marker in town). 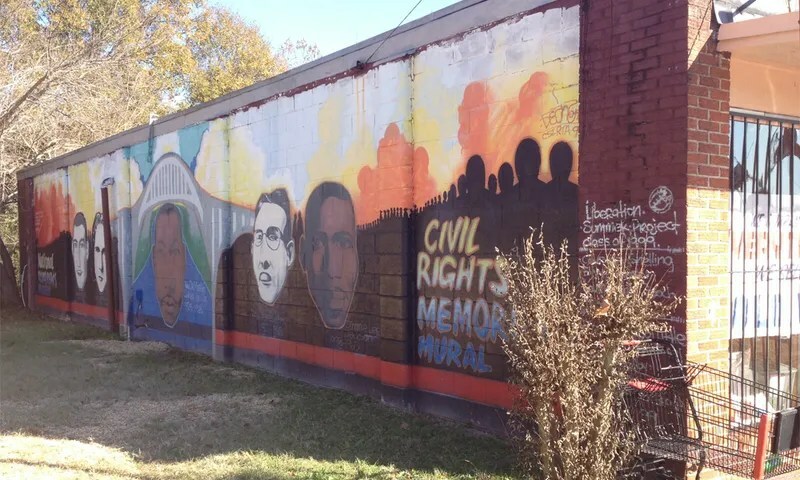 We went to go check out the famous Pettus Bridge – named for a Klansman, it should be noted – and saw a beautiful mural on the side of a half-vacated strip mall (picture up top) and the remnants of what was seemingly a nice Civil Rights Memorial Park. There were a few really nice reliefs of local rights leaders, an impressive stone sculpture, and another mural built into a brick monument that looked as if it hadn’t been cleaned or kept up since it was built – which according to a few signs, was waaaaaaaaaaaaay back in 2001. 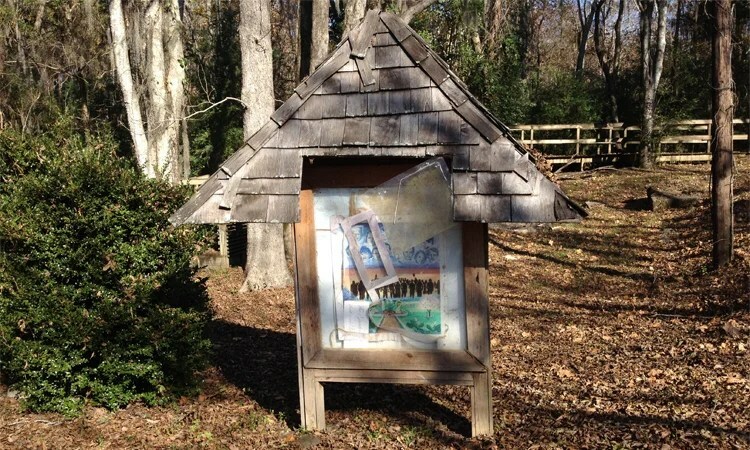 The park looked as if it hadn’t been touched since then — or rather that it had, but by the unkind ravages of time. Doing some checking, I wasn’t the first traveler to notice this – Mother Jones pointed it out back in 2010. Soon the celebrities will have moved on and the film – which seems hasn’tgotten the attention it had hoped for – moves out of theaters and into school libraries (well, not Alabama school libraries – it’s already been banned in at least one school district). But what will become of Selma? Of course, this is all on the outside. 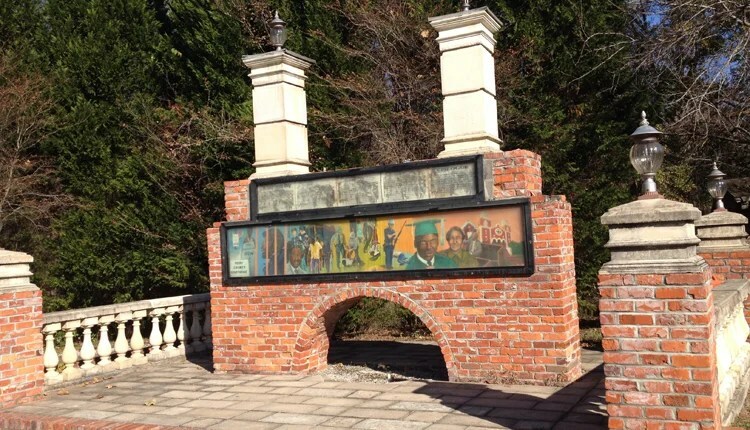 There is the National Voting Rights Museum and Institute, so certainly there worthy memorials in Selma. And there are other people trying to get more recognition for the state’s place in Civil Rights history – even protesting the governor’s MLK Day inauguration – but it seems there is a distinct lack of pride here, which seems odd. I’m not from Alabama, I was just a traveler passing through, but it seemed like some areas were more ashamed of their place in history than proud of what they helped achieve (sentiments echoed by some new friends I met in the area). Speaking as someone from a town where racial injustice led to exactly nothing, I say promote the fact that struggles of Alabama made the successes of the Civil Rights movement possible. This story was originally published on the Kinja blog of Kevin Garcia on Jan. 20th, 2015.